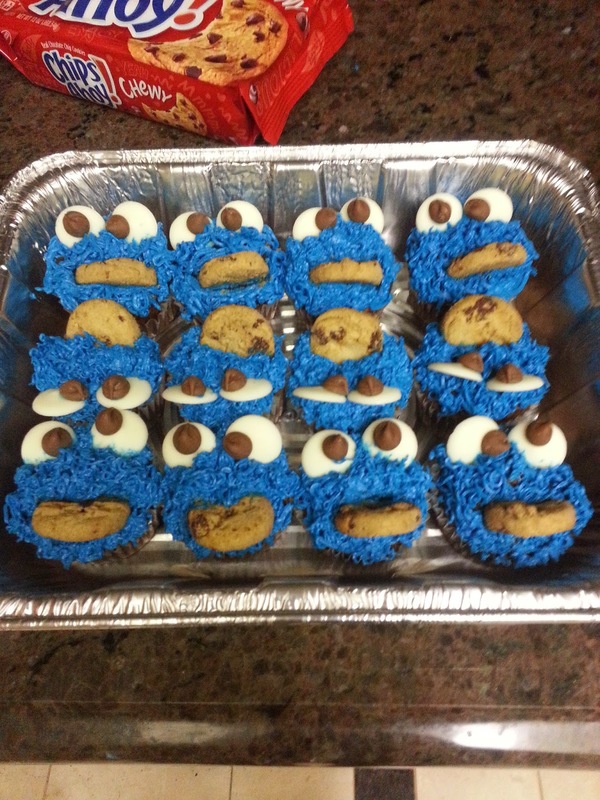 I was in the mood for some baking this week and there was a potluck event at work so I made some Cookie Monster cupcakes. I've seen them on my Pinterest for a while now and have always wanted to make them. I'm usually either too busy or too lazy (probably more toward the lazy part lol) to make cupcakes from scratch, but since I had the time, why not. 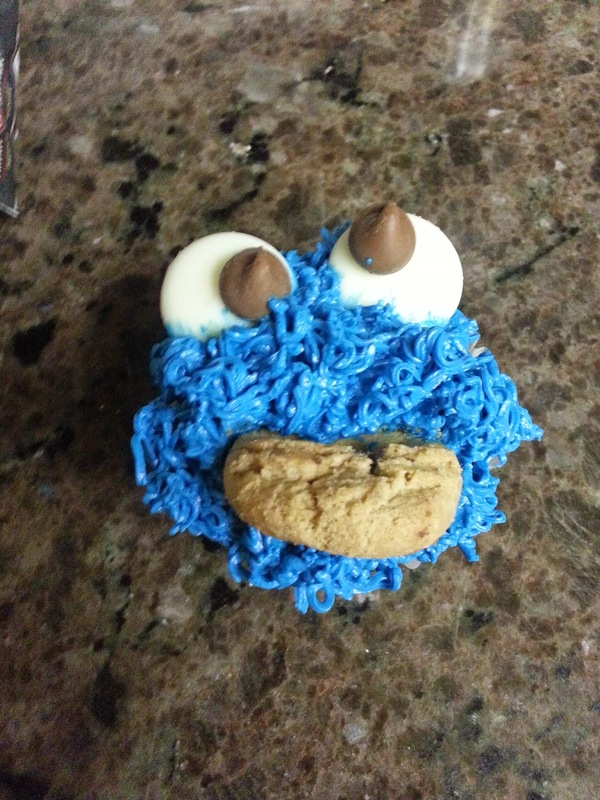 Aren't thees Cookie Monster cupcakes beautiful? They took ages but it's all worth it! I used this chocolate cupcake recipe (it's toward the end of the post). However, I used dark chocolate instead of semisweet and used only 1/2 cup of coffee instead of the 1 1/2 cup. I was afraid of how it would taste because I've never put coffee in my chocolate cupcakes before. (Which is also why I put so less.) However, it turned out pretty tasty and I think I will use this recipe again. I think the best and easiest part of this cupcake was the eyes. I just used frosting to stick a chocolate chip onto a white chocolate melt, like above. And voila! 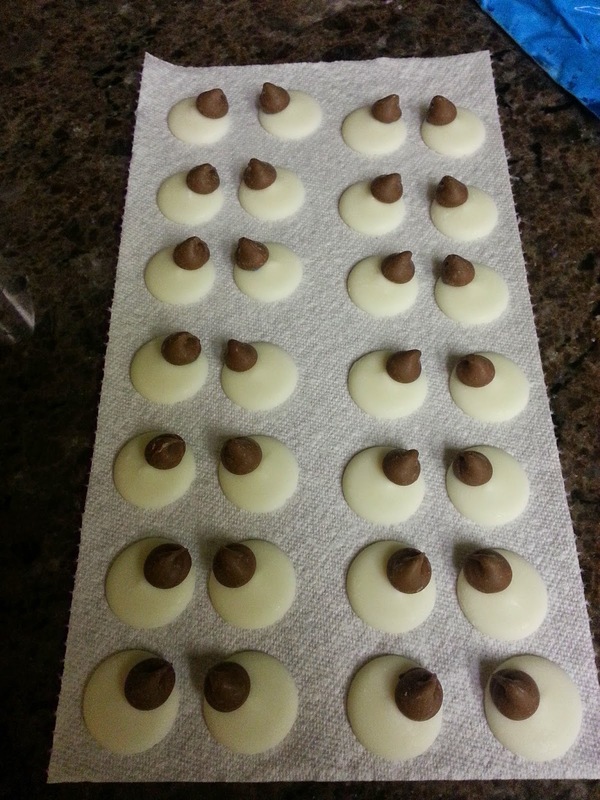 I originally wanted to make the mini cookies from scratch too. However, by the time I was done with the cupcake I didn't want to cook anymore, so I used the cookies we had at home. Everyone at work loved the cupcakes, so that's enough to make me happy. Will probably make this again in the future and when I do, I will try to record down how many drops of each colors I used for the frosting. Hope you are all having a wonderful week and let me know what are some of your favorite cupcake recipes?